NaPoWriMo starts tomorrow, are you joining in? March 31, 2017 by Maja Todorovic, posted in Business in Rhyme, Write, create, innovate! Yes, tomorrow is a big day for all of us poetry lovers, as it is a good chance for us to gear up our writing and improve our poetry skills. As many of you might noticed I haven’t been active very much on the blog lately, which is due to my right elbow injury. It hurts like hell and any repetitive movement like typing is simply causing me to much pain. It’s extremely difficult for me to work. Recovery is too slow and I’m facing 8 weeks of rigorous physical therapy. I truly hope it will help me get back on track with my writing (this paragraph took me almost an hour to type!). Anyway I don’t want to miss this NaPoWriMo, and I’ll do my best to stick to the challenge until the end. For additional inspiration I intend to use prompts from my ‘Get busy with writing’ e-book. 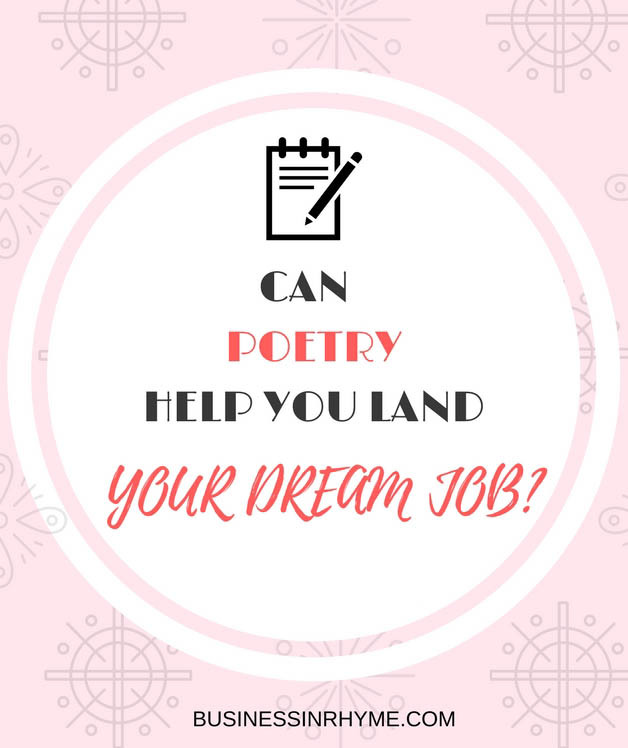 31 prompts to stir up creativity and if you think you could benefit with some additional inspiration for NaPoWriMo, follow this link to get your free copy. 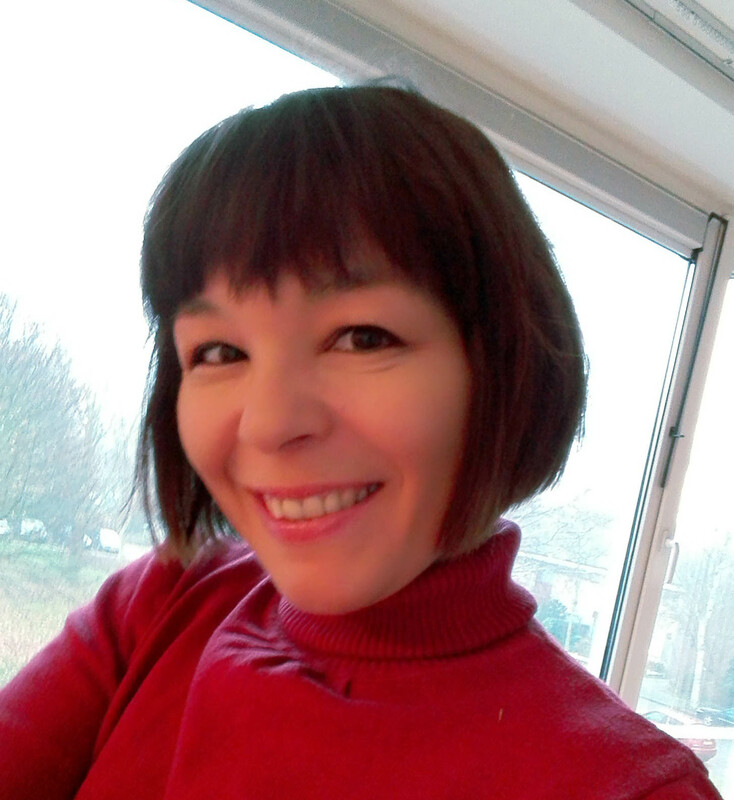 March 9, 2017 March 11, 2017 by Maja Todorovic, posted in Business in Rhyme, Write, create, innovate! For almost two years I have been blogging constantly on wordpress.com. For that time I had opportunity to follow and read numerous blogs, both on writing and poetry. It made me realize, at least in my case, that certain blogging themes, offered here on wordpress.com in terms of functionality and readability can impact a lot reader’s experience. 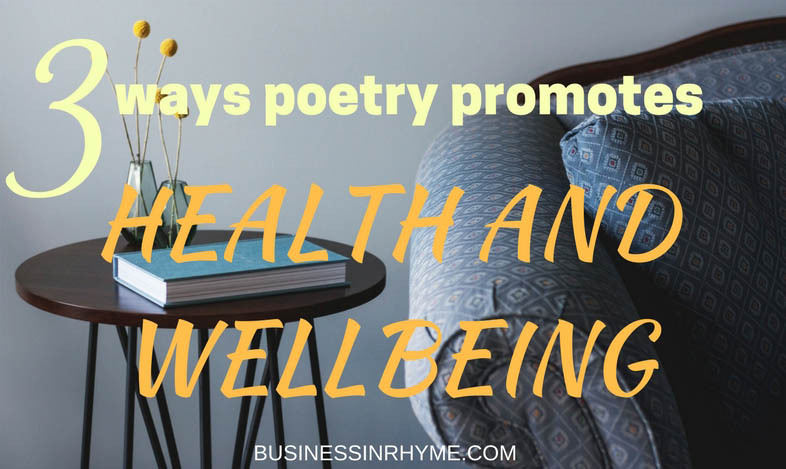 I have experimented with several themes and today I will share what I think are the best free themes you can use on your blog to better present your poems and make your blog more attractive to your readers. These are my personal preference, but I suggest you play around with different templates and see which one best suits your writing needs. Experiment for couple of days/months and see how it goes. You can always switch to another. One thing I think is helpful to have in mind is that the theme should always serve your writing. One that presents your content in the most beneficial way, not distracting your reader. one where you can place your social buttons prominent and people can easily access your social media accounts. Penscracth: I used this theme for a long time and I’ve been very pleased with its performance. It is a clean, responsive writing theme with support for site logos, featured images, and in side bar you can place any widget to enhance the functionality of your website. It was really developed with writer’s needs in mind. Button is very similar to penscratch. Perfect for long forms of writing, but you can also define a static page, and it allows featured images to really pop up! Independent publisher is a beautiful theme with wide central column. It has a light color scheme and paired with bold typography makes any content more attractive. The menu is easily accessible in the upper right corner, and most importantly, it’s responsive. Chateau-is to go for, if you are looking for something more classic and vintage. It’s an elegant theme which offers the experience of reading an old book, written by hand. You can choose between three different layouts for your blog and multiple archive styles. With five widgets areas in the footer you can customize your blog in many different ways. Rebalance is a simple portfolio theme. Initially it is designed with photographers and artists in mind, but if you are more into visual poetry, where you use a lot of graphics, this theme might be perfect for you. Its responsive layout is optimized for all devices and it has a stylish typography. Front page allows you to display multiple posts in clear view.This template supports ‘featured images’ to appear in several places, including archive pages, the portfolio page template, and the home page, so it’s perfect for any visual artist. It also supports for you to upload your own logo and social media buttons are neatly placed just above the menu. Syntax is a designed to enhance both writing and reading experience. It’s responsive, with large, easy-to-read type. This is where content takes on all the attention and primary menu is placed behind a tab on the left side of the screen. Very handy! Celsius is another minimal and clean template that very well accentuates any type of content. This theme supports multiple post formats, slide-out navigation with bold featured images that look good on any device. Apostrophe is a fully responsive theme. It’s perfect if you want to organize your poetry like in a poetry journal/magazine for example and give your reader that kind of experience. It has easy-to-read typography paired with a modern, minimalist design. Choose from a single-column layout, or make use of multiple sidebar and footer widget areas. Highlight your best posts to add variety and interest to your homepage, and showcase your social media links at the top of the page. Sapor is another simple and clean theme I recommend. It supports bold images and content that is easy to read. You can chose a layout with right sidebar where you can place your important social media links, your gravatar with your short author biography, list of most popular posts and ext. With this template any content becomes more attractive. Radcliffe is a bold theme with strong typography and full-width header images. Here is all attention placed on the content, and I what like the most about it (beside the fact it’s responsive) is that it is very eye-catching and it’s inviting you in – to look for more, to read more. It allows you to upload your own custom logo and also includes custom menu in the header. This is just a tiny selection of wide range of themes offered on wordpress.com. Find one that best fits your blog’s needs and customize the way to accentuate your blog, with information in widgets area that are valuable to your readers and that enhances your content. What are your favorite blogging themes? Please share in the comments below. March 6, 2017 March 6, 2017 by Maja Todorovic, posted in Business in Rhyme, Write, create, innovate! Mistake. Not very popular word in our vocabulary and it is something you usually don’t want to hear about. But guess what, we are all just humans. And it means we all do make mistakes. It’s a natural part of learning curve and there is nothing to be ashamed of. I’ve been in research and writing for about twenty years and after 50+ published papers, numerous research projects, two dissertations, 3 books and year and a half of blogging, I still do make mistakes. And I don’t mean like grammar and typos. Sometimes I don’t manage to express myself as clearly as I wanted or at times I’m not assertive enough to share my work… but that all doesn’t matter. I’m not talking about these kind of mistakes. I’m referring to behavioral attitudes that many young or new writers somehow acquire that can slow down or even hinder their success in writing as a profession. Instead of thinking about fear, think of legacy you’ll leave behind. Every writing will find it’s right reader. If it’s honest and authentic, it will. You must share your work. It’s the only way for your message to be heard and it is a perfect way for you to find motivation to improve your writing even more. You are building a bridge between you and that outer world you want to communicate with. The world that want to hear your story. The world that want to be part of your experience. Embrace your love for writing: start blogging (if you aren’t already), submit that story or poem to your favorite journal and finish that first draft. Finish it and be proud of yourself. Second mistake: They don’t test the water before diving in. What I mean by this is that many writers hurry too much in advance to profile themselves as a fiction or non-fiction writers, short story writers and ext. I believe that the best approach you can apply is to experiment and simply play. Yes, play. Try different genres. No matter how uncomfortable it gets. Not only are you improving your writing skills this way, but you’ll get clearer picture of where you would like to go with your writing. Learn more about yourself this way. For instance, when I was seventeen I got fascinated with earthquakes and volcanoes. So my first degree is engineering in natural sciences. It was followed with job in research and teaching position. Than I branched out into management, still doing research and teaching. At one point I began to flirt with applying arts in learning programs and innovation management. And as I did somehow radically changed my fields of work and interests, they have something in common: writing and teaching – which is my predominant occupation today. One that is fulfilling, contributional and somehow connecting all my talents and skills together. So try new things, don’t narrow yourself to one or two styles and writing genres. You are a writer who’s opinion, experience, ideas and creativity matters. 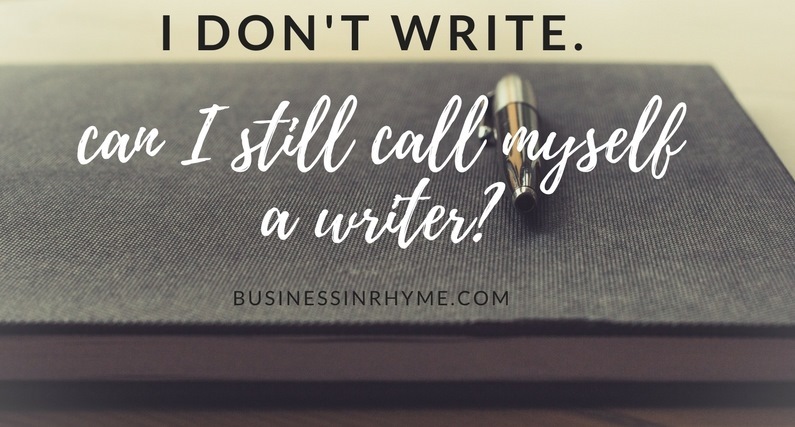 Your writing matters and you don’t have to decide now what kind of writer you are. You are a writer. Period. Third mistake: They don’t treat themselves as a real writers. For me this is very simple. You are, or you are not a writer. Don’t proclaim yourself to be an aspiring writer, beginner writer or recreational writer. If you are serious about writing, than switch your mindset to think and treat yourself like a professional. You become what you identify yourself with. From that kind of thinking you will find motivation for inspired action to move into more professional realms. Educate and invest in yourself in mastering your writing skills and building an audience that can serve for your message to be shared and received by the world. That is what you want. And there is nothing wrong to get paid for your words and services. Does your writing bring valuable contribution? Does it entertains, offers solution or maybe people can learn form it? You can find freelance writing job opportunities in areas you are skilled or experienced in. It might be hard at the beginning in a highly competitive market but you have to start at some point if you want to become a full time writer. Search for additional paying opportunities like contests and journals. You can also offer a course and different types of content creation that are related to writing. But start early, start now. 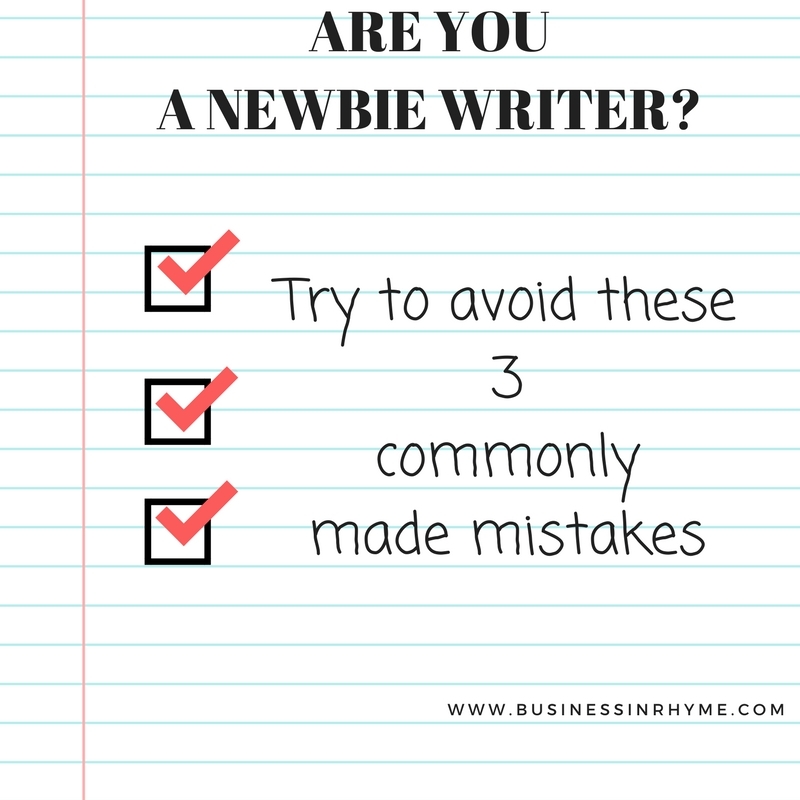 These are three typical mistakes I have noticed that newbie writers often fall into. Instead of conclusion, I want to share this beautiful poem by Marge Pierce that so eloquently encapsulates all previously said. I hope it will inspire you to treat your craft as an expression of art, because ‘the real writer is one who really writes’. 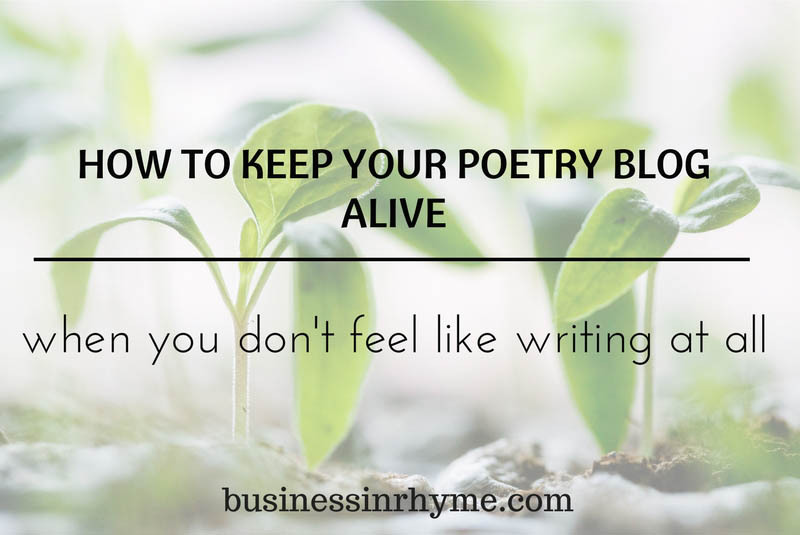 In this post we share why is your authenticity key to becoming a successful writer. And learn more why community is essential in building your author platform. How about you? What mistakes did you make when you first start writing? Please share in the comments below. What exactly is high efficiency? In broader sense, in my own interpretation being highly efficient is being able to accomplish all desired goals in defined time-frame with satisfying results. The most accomplished people in any industry are those who are highly efficient and for writers this is a very ‘handy trait’ to acquire. Many of us are not born as highly efficient and productive. 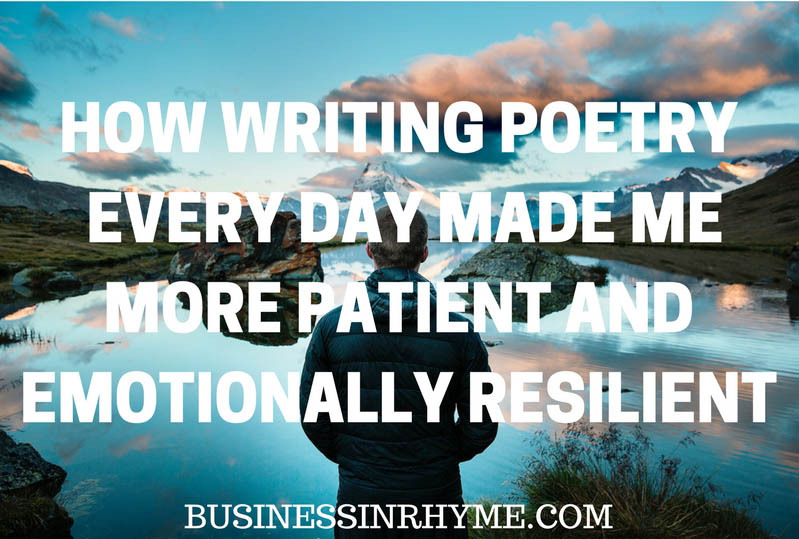 But we can learn to improve our performance in any realm of life which can lead to more energy, focus, confidence, productivity and satisfaction – something that any writer desperately needs. You want to be efficient not occasionally when ‘all pieces of your life fall in the right place in the right time’. You want that sustained confidence and ability to be at the top of all things, having your life and writing under control – not the other way round. And the next few things I’m about to say here are nothing new to you. You probably heard them a lot of times before, but yet we do forget and slip of our writing wagon. So take my recommendations as a friendly reminder and a guidance to help you examine your life habits and how that is impacting your writing. 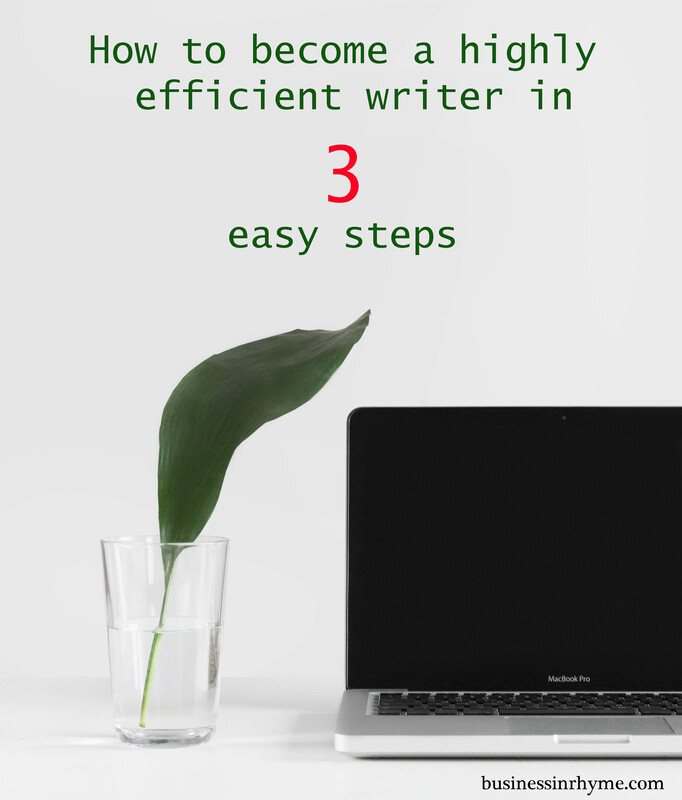 Step 1: take care of your basic needs properly, so you have more time for writing. You probably could see this one coming. I simply can’t stress enough how this is important. When your basic needs like eating, sleeping and daily movement/exercise are fulfilled then your body and mind are prepared for any challenge. It’s a prerequisite to any productivity. Fueling your body with healthy whole foods will give you energy, strengthen your immune system and endurance you need in order to achieve what you want. This, paired with enough sleep and relaxation instead of indulging in useless TV program will give you clear mind and focus you need in order to write and jump over that writers block. I know I named this post easy steps and all this might not be easy in the beginning, but in a way we need to unlearn our unhealthy habits; to start fresh with open mind, heart and faith that with little baby steps we can retrain ourselves – to cultivate better habits and allow ourselves become writers we want to be. Step 2: set reasonably achievable writing goals. This is where, in my opinion is one of the traps we often as writers fall in. Setting too much goals or goals that are defined in tight time-frames can sometimes play as a true motivator, but more often it produces more pressure which leads to additional stress and discontent. I know that some people can have high performance under pressure, but think about it: how will that actually impact your life in the long run? I am unfaltering advocate of being true and clear with yourself: what are your priorities? Chose one or two things you really need/want to do and start from there. Doing everything, everywhere in the same time is not a sustainable efficiency. We are, with our human nature a real champions when it comes to excuses – why not to do something. You lack time, energy, you are busy, you are hungry, you are too hot or too cold, sleepy or..whatever. If you notice some of these thoughts creeping to your mind, go back to steps one and two. There is all magic happening. Your next poem, story, manuscript or blog post is hiding right up there. When you conquer steps one and two, your productivity will improve, your desire to learn and acquire new skills, have fun and immerse yourself in creative outlets will naturally come back running to you. Do you have any tips on writing productivity? Please share with us in the comments below.